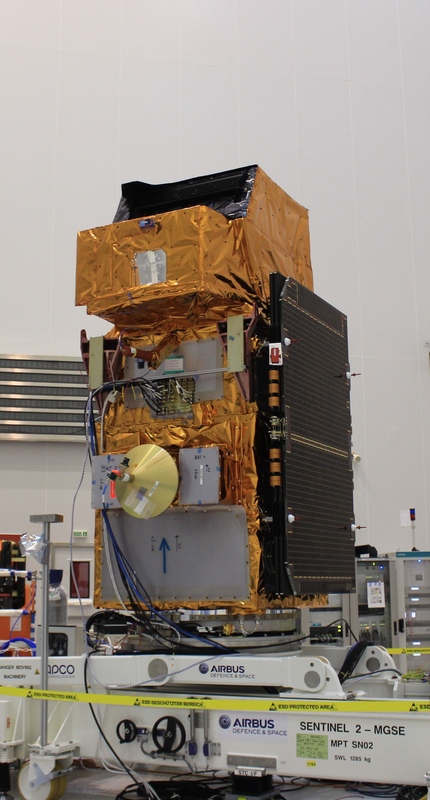 Since Sentinel-2’s multispectral imager is an optical instrument (like a camera), it won’t work if light gets inside. So, one of the tests yesterday was a ‘light tightness’ test, which involved placing lamps around the instrument to check that no light penetrates. Next up were some alignment tests. 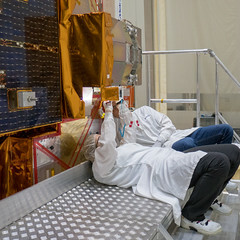 This means that the different positions of the satellite components, such as the imager, star trackers etc., that need to be pointing in a very precise direction are all checked. These checks have been done before, just before the environmental tests and before it was transported, for example. The results of these earlier tests are used for any adjustment necessary. On a personal note, a small ceremony will be held today for two colleagues that we lost in the last years: Georg Grillmayer from Airbus Defence and Space and Johan Stjernevi from ESA. 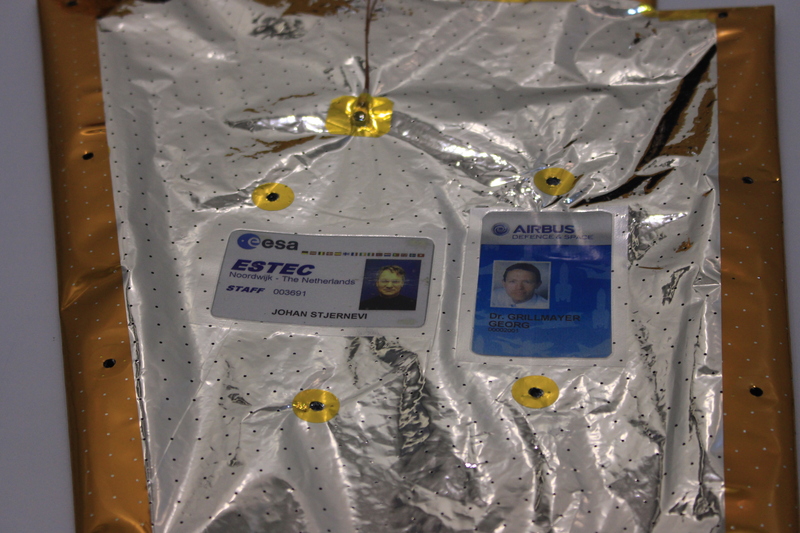 Copies of their badges have been printed on space-proof material and will fly on Sentinel-2A in their memory. 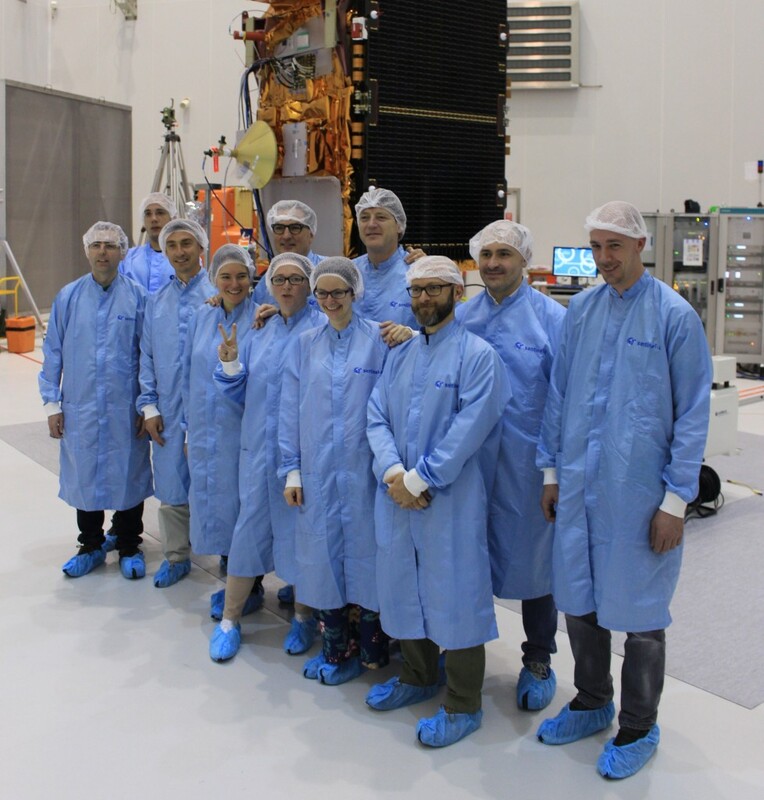 Post from Claudia Wildner (ESA), 28 April 2015.